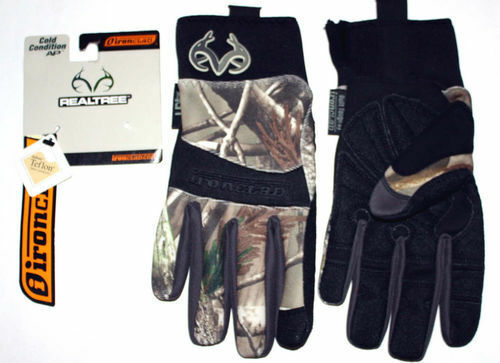 Take note: All gloves are RealTree camo pattern with pattern variations. Palm: synthetic leather blend. Back: stretch polyester blend. Lining: poly, fleece blend.